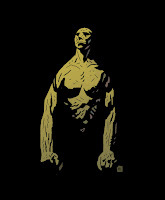 Hellboy fans take note- if you're not familiar with one of Mike Mignola's newest projects, Joe Golem, you might want to take a look at Dark Horse's new Deluxe hardcover. 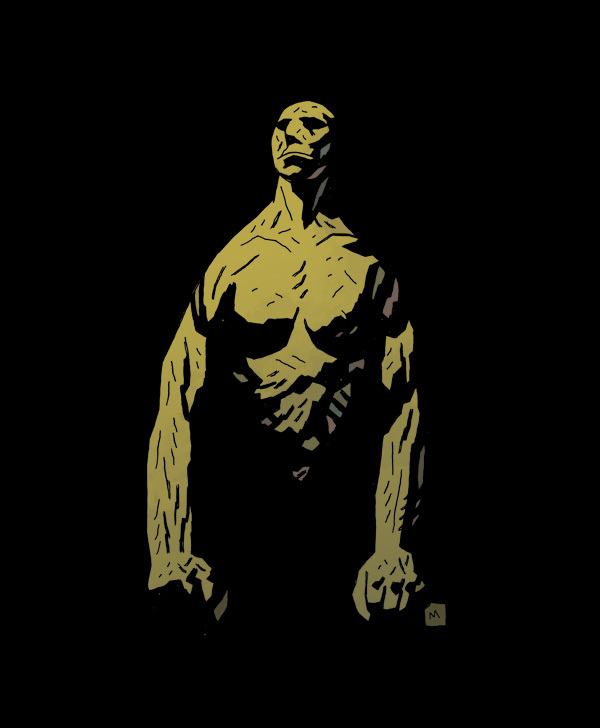 I actually didn't know much at all about the book that Mignola himself says is "made up of all those things I love: crumbling ruins, strangeVictorian devices, and unknowable supernatural forces". To put it quite frankly, Joe sounds like same truly awesome stuff for anyone who's a fan of Hellboy, or the macabre in general. After a séance gone horribly wrong, strangemen wearing gas masks and rubber suits abduct the aging psychic Orlov theConjuror, sending his young assistant Molly McHugh racing through the canals ofa submerged Manhattan. As Molly flees her captors through a sunkencity full of scavengers, her one hope comes in the form of two strangemen: Simon Church, a Victorian-era detective kept alive byclockwork gears and magic, and his assistant, Joe, whose mysteriouspast is hinted at in dreams of stone and witches. The deluxe hardcover edition of the book (which also includes a neato extra tale) will go on sale on September the 26th for $99.00... oh, did I mention that there'll only be 1000 copies made of the book? Yup, set those reminders now.